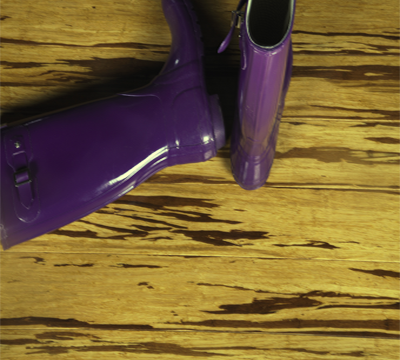 Want to give your wood floors a high end custom look? You’re choosing new wood flooring for your home. You want it to be unique, something that will make it stand out. What about an inlaid wood accent feature? You’re probably wondering if that is even possible. 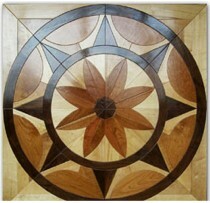 A centerpiece of flooring design, flooring medallions can give you that high end, artistic touch you want to achieve. Wood flooring medallions are available in a wide variety of patterns, styles and wood tones. It doesn’t matter if you’re going for old world charm or a more modern look, you will be able to find a flooring medallion that complements your decor and reflects your personal style. Whether you’re considering a medallion when installing new flooring or as part of a remodel, it’s an addition that can really make a design statement in either commercial or residential use. Not only will a flooring medallion bring artistic interest to your floors, it will give depth as well. When adding a medallion to your wood flooring decor, it’s going to make a big impact. You’ll need to decide where you want that impact to be. For both commercial or residential properties, a traditionally successful choice is the foyer or entryway. It is not uncommon to see a beautiful and intricate flooring medallion in the grand entrance of an upscale hotel or theater. Chosen in a scale appropriate for the entrance to your home, a medallion will have a similar effect. There are other areas that would be great location choices for a medallion. One would be in the dining room with the dining table set at the center of it. A medallion could also be used in the living room or family room giving the floor design and texture without adding a decorative area rug. Once you’ve decided to incorporate a medallion into your flooring, choosing a medallion that is the right scale is important. 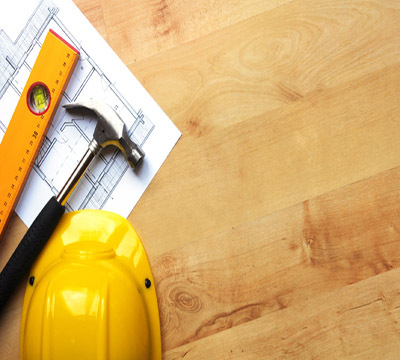 Make sure the design and the size are appropriate for the area where you are planning to install it. An intricate and elaborate pattern will work perfectly in a large space where a simpler pattern would be a better choice for a smaller space. You don’t want the flooring medallion to overpower the space, nor do you want it to be lost. So, how do you know what the right size medallion is for your space? A good guideline is to choose a flooring medallion that is approximately one-third the width of the room. A room that is 18 feet long and 12 feet wide could accommodate a 4 foot medallion. If you are handy and have successfully completed other home improvement and flooring projects, you may be able to handle installing a flooring medallion. If you are at all hesitant about your abilities in this area, it is best to hire a professional. A mistake could be costly, not only damaging the medallion but also the rest of your flooring, including the subfloor. Traditionally, floor medallions were only used in commercial properties and homes of the very wealthy. They were finished on site without the use of power tools. They are a great way to personalize your home but they will also increase the value of your home. Ferma Flooring offers superior quality flooring medallions that are aqua jet cut to achieve the highest level of precision. A trusted name in the flooring industry for 14 years, we review our entire line every year and develop new products, wood species, and colors that are in fashion and demand. We keep in touch with market trends to be sure we offer what the consumer desires. Ferma Flooring serves more than 1,000 flooring retail stores nationwide from our distribution warehouse located in Edison, New Jersey. 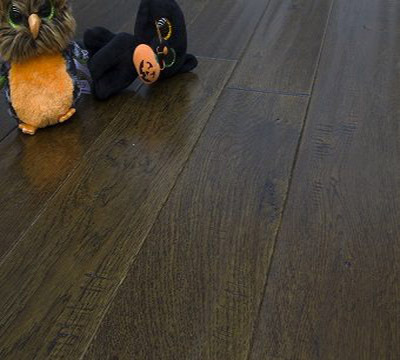 Visit a retailer near you for flooring medallions and a variety of top quality flooring, such as solid wood, engineered wood, bamboo, laminate and luxury vinyl. Want to give your wood floors a high end custom look? Whether it a new installation or a remodel, flooring medallions make it happen.